Salt Spring Island continues to bolster its reputation by being an eco-friendly community. Each citizen places great emphasis on the sustainable element of life that is so treasured on the island. The attitudes can be seen simply by watching the processes by which the local businesses operate. Each business has a mandate to be environmentally-responsible. Active Pass Freight, a Salt Spring Island freight service, has taken notice of the region’s collective commitment to sustainable living. Already doing some business in Salt Spring Island, Active Pass Freight has designs on acquiring more business, and as a result plugging in an even greener Salt Spring delivery service. There are many cool businesses on the island which jive with prevailing attitudes there. Duck Creek Farm is a lovely 13 acre organic farm which caters to guests in a variety of ways. This family company has provided produce for its region, all while harvesting in a biodynamic environment. A green Salt Spring delivery service would undoubtedly be associated with this business if not other businesses on the island. Hybrid vehicles are already common among the residents there, so a hybrid-electric truck for Salt Spring Island freight service would only be fitting to service their commercial needs. Salt Spring Island has long drawn the interest of tourists, not only from British Columbia but many from Alberta and beyond. It might be the smallest region to have a recognized film festival. The island is flexible in its accommodation to tourists, especially since an influx of them takes place in the summer. Facilitation is possible mainly due to sustainable planning. Sustainable planning is the mission statement of the Gulf Islands, and the ultimate reason why Salt Spring Delivery service will only continue to get greener. The frequent farmer’s markets of the area call attention to how goods are being imported and exported. 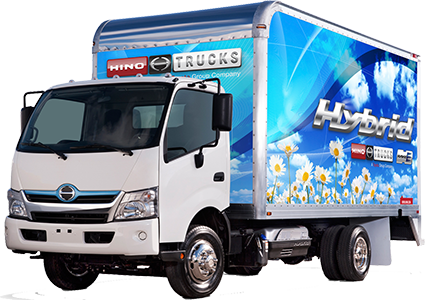 Any buyer or seller of large amounts of produce on Salt Spring can opt for hybrid-electric truck delivery service. Active Pass Freight, a Salt Spring Island freight service, has aligned its core values with those of residents in Saturna, Pender, and Salt Spring Island. Those values are based on producing and cultivating from within while limited impact to the environment. Salt Spring Island is an inspiration to many urban dwellers. Many of them are disgruntled with living conditions or simply tired of the fast-paced life. To live a life causing low-emissions is actually considered a virtuous life by a growing number of people. 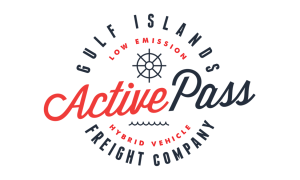 Active Pass Freight is operated by an ownership that does its part for the community as well, by working to supplant old, inefficient methodologies which does the island no service to the environment. A hybrid-electric truck is the solution for green Salt Spring delivery service.